From humble beginnings, starting with gutter-cleaning and then moving on to roofing and scaffolding, we’ve evolved into a company offering a wide variety of home improvement products and services. We have many testimonials acknowledging the high quality of our work and our friendly service. 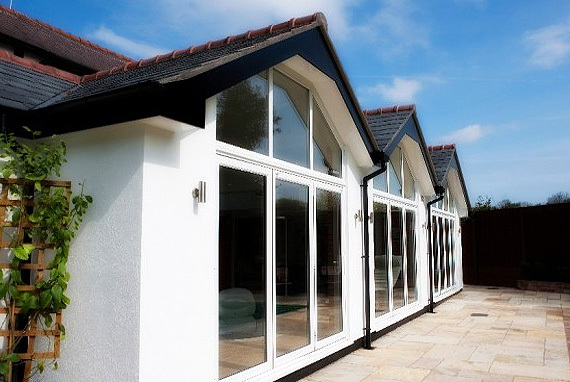 We’re now proud to offer you the entire NRG range of exquisite windows, doors and conservatories. All NRG products are made in Britain with care and attention to detail, and so we’re more than pleased to present this fantastic brand to you. Both in design and installation, we bring with us a wealth of experience and expertise to enhance your living environment to uncompromising standards. Please feel free to contact us regarding your windows, doors and conservatory projects. Tilley & Co Ltd is the trusted and official supplier for PlatinumNRG for the South East. PlatinumNRG is regarded as one of the best performing products on the market today, taking full advantage of the increased thermal efficiency offered by its six chamber sash and outer frame, providing the most energy efficient windows available. Made from 100% lead-free PVCu, PlatinumNRG incorporates advanced engineering and quality manufacturing, providing the highest security option available. Certified ‘Secured by Design’ option from the Association of Chief Police Officers and conforming to PAS 24:2012 standards. Security should never be a second thought. Utilising the highest technology with its multi–chamber design, an extensive range of high gloss finishes and a unique SlimSASH profile, PlatinumNRG is the complete PVCu package for your home. Advanced thermal properties mean all standard windows can achieve an ‘A’ Rating by the BFRC WER Rating system, and the new A+ certificate through the use of the highest energy efficient glass and additional PVCu frame elements. These ratings are achieved without the use of expensive thermal inserts. Our technically advanced windows, doors and conservatories will give you many years of trouble-free, low maintenance service. The ‘Ultimate Energy-Saving, Noise-Reducing Window’ with 36mm sealed units. Future proof U-Value of 0.8 W.m²K as well as PASSIVHAUS compliance is achievable, using some additional frame components and Krypton gas. PlatinumNRG Triple Glazing uses three panes of glass which form two insulating layers that provide the ultimate thermal and acoustic insulation. The industry-leading 6-chamber PVCu frame eliminates the need for thermal inserts and uses structural PVCu for rigidity rather than heat-conducting steel. A PlatinumNRG Triple Glazing unit can exceed even the A-Rated window by over 35%. The additional cavity created by having 3 panes of glass can increase sound insulation by over 20% as well as providing extra security. When replacing windows and doors, homeowners must comply with current thermal performance standards and ensure they get a certificate from FENSA (or similar approved) or Local Authority Building Control. FENSA enables companies that install replacement windows and doors to self-certify compliance under these Building Regulations without the need for a separate assessment from Building Control. CE marking is the only way to demonstrate that a product, or system, complies with the CPR. It is a manufacturer’s declaration that their product meets the minimum requirements of a harmonised technical specification, enabling them and their agents to place their product on the construction market. All our PVCu products are designed and manufactured in Britain to the very highest standards with all the appropriate accreditations. We are a proud member of the ‘Made in Britain’ scheme. The Made in Britain scheme was launched by British company Stoves with the backing of UK manufacturers and MPs. To qualify, companies must say ‘the majority’ of their production or manufacturing takes place in the UK.We’re now proud to offer you the entire NRG range of exquisite windows, doors and conservatories. All NRG products are made in Britain with care and attention to detail, and so we’re more than pleased to present this fantastic brand to you. For more information please call 0800 433 2113 or 07787 866 174 today!